Inside & Out Property Inspectors, Inc. provides comprehensive commercial property inspection services in Jacksonville and St. Johns County, including St. Augustine, Orange Park, and the Beaches. Our clients include buyers who want to understand the condition of the property before making the final decision. We also help sellers identify potential issues before putting their properties on the market. 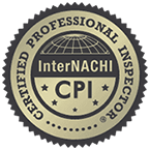 We always encourage our clients to attend the inspections. A commercial property inspection can save you time and money, while also giving a clear picture of the condition of the property under consideration. When Inside & Out Property Inspectors conducts a commercial property inspection, our goal is to help you identify any potential problems with the structure that would affect its permitted use, or require major upgrades to meet new codes. We will look at the overall condition of the commercial property as well as the major systems (HVAC, electrical, plumbing, etc.) as well as the roof, roof decking, foundation, stairways or elevators, and parking areas. We will create a complete report for you that will outline structural concerns, code issues, the presence of mold, and other items important to commercial property owners.